The spider usually sets off the smoke detector in August, so I was surprised to arrive home and hear a repeating piercing beep. Went upstairs and opened the smoke detector carefully, not to spoil Mario's handiwork. Replaced the 9v battery. The alarming beeps continued. Back downstairs, I gingerly opened the thermostat, again remembering Mario's electrical rescue, and replaced the AA batteries. The beeps were giving me goosebumps. Upstairs again to check the doorbell chime. Back downstairs I found a forgotten smoke detector that's wired-in. This was turning into an Edvard Munch moment with bonus stair-climber workout. Rounding the corner into the bathroom I find the beep source, the carbon monoxide detector I saved from my parents' house. 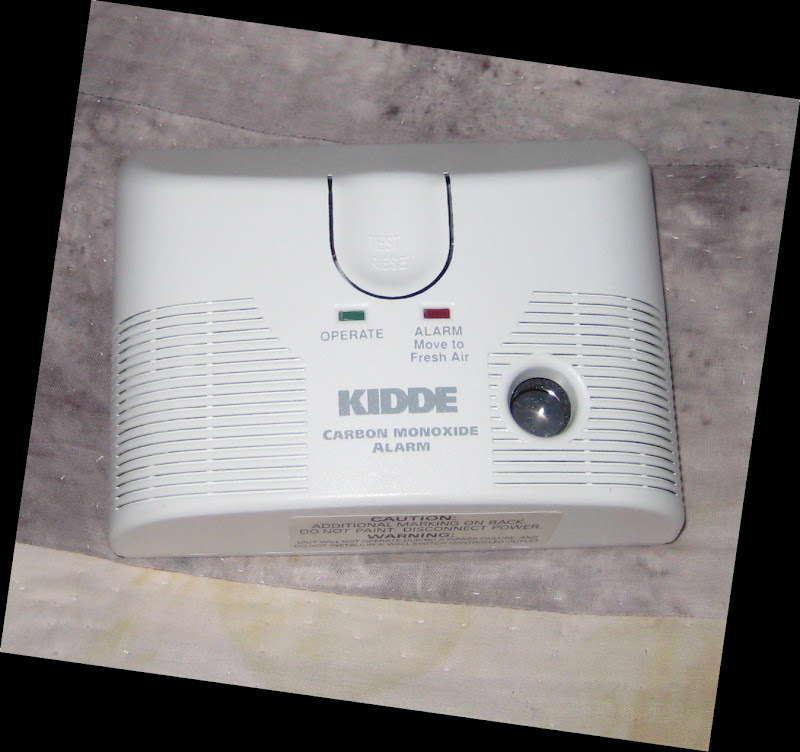 Isn't carbon monoxide a winter killer? Every CO horror story I've ever heard clamors into my anxiety between the shrieking beeps. I move the detector to different electrical outlets feeling guilt for never pushing those TEST MONTHLY and RESET buttons. Should I be getting myself outside into the hundred-degree fresh air before I become woozy and unconscious? There was that spell in junior high when I wouldn't ride in the car in the Nebraska dead of winter without the window open because I was so sure we were all a-gonna die from fumes. It's a miracle my family didn't just drop-kick me out into a snow drift and drive away. 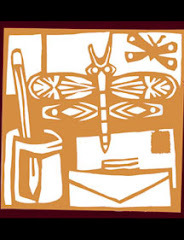 This anxiety was between my two phases of moth phobia, but smack in the middle of the pancake anxiety year. Now, I could just unplug the *%! 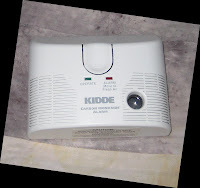 bleaking CO detector and throw it in the dumpster, then toddle off to beddy-bye. That story would have the pride-goeth outcome where I drift into a happy sleep with a tad bit of nausea before death. Or I could let the CO detector keep shrieking, and have a sleepless night worrying about dying, kind of like a bad night camping. Or I could maybe call the Fire Department and have them check it out. Feeling too torn to actually call 9-1-1, I looked up the phone number in the Yellow Pages for our Fire Department. Sure, wasting those precious seconds could be the difference between life and death, between dying in my sleep and going outside into the hundred degree fresh air to live another dang hot day. Apparently when it is not a 9-1-1 emergency, the Fire Department phone is answered by a cleaning woman who might be your mom. 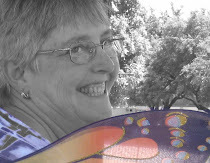 She hems and haws with you about whether or not your CO detector might have gone a little funny in the head. She reassures you that putting your call through to dispatch will not cost you hundreds of dollars and could be good for your peace of mind, which you are rapidly losing what with all the shrieking barks of that Tasmanian devil CO detector. So that's how I ended up with four hunky Plano firefighters in their turn-out pants and suspenders in my kitchen taking readings on their carbon monoxide gizmos and filling out official forms. They took readings near my gas water heater and upstairs near the gas furnace. When I mentioned that my fireplace is gas, they ask if I had used it recently. It was clear they might would drive me straight to the loony bin if I answered yes. I thanked them profusely for retrieving my peace of mind, and told them I would be calling my 89 year-old next-door neighbor right away. "I don't want him to have a heart attack seeing the firetruck." "We don't either," they said sincerely. Firefighters are our community helpers. Check your smoke detectors regularly. 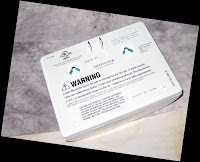 Test your electrical outlets monthly. 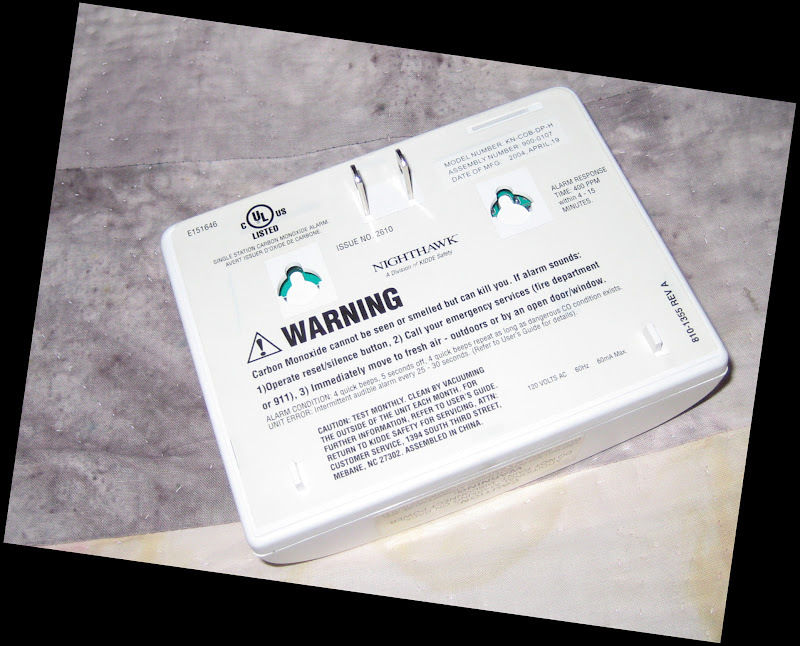 A carbon monoxide detector is a good thing to have, but they don't last forever. It's good to know a Mario who can fix electrical problems. It's wise to check on elderly neighbors in this heat. 2. I'm glad the firefighters came to the rescue. 3. Where are the pictures of the firefighters?! I was too embarrassed about the whole situation to whip out my camera, but there was a whole lotta manliness around my kitchen table. Knowing I would live to see the morrow made the whole experience shimmer with relief. Yeah, you really let us down here Collagemama, next time we want the photos! !